Davian is a tattoo magician – a man who can sense the magical tattoos under people’s skin and bring them to life. He’s spent most of his life hiding the true extent of his powers, hoping to avoid the attention of the Council and live a quiet life with his friend and business partner Keir and, hopefully, find a cute guy to have some fun with. Except someone in the city is killing people with tattoos and stealing them – an agonising and terrible way to die. With his power, Dacian is perfectly placed to stop him and people are pressing him to get involved – but can he stop the killer and stay under the Council’s attention? But it kind of waffles. What’s there is good – it’s Dacian’s normal life with his excellent relationships with Keir his best friend and Isaiah his love interest and Vyx who joins them. And it’s all fun but the fact there’s a serial killer on the loose seems to be too low a priority. We do have some POC among the wereanimals who play a prominent role in the book; Faru is one of the driving forces behind forcing Dacian to step up to the fight as well as being one of the main drives to take down the ink stealer. In all, I’m loving it – I would love to see a lot more like this and it has definitely exceeded my previous (admittedly low) expectations. 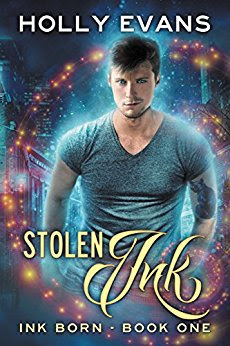 This is a story and world setting that existed for their own sake and included gay characters as full characters fully involved in the story and with excellent character interactions and awesome hooks for future books.